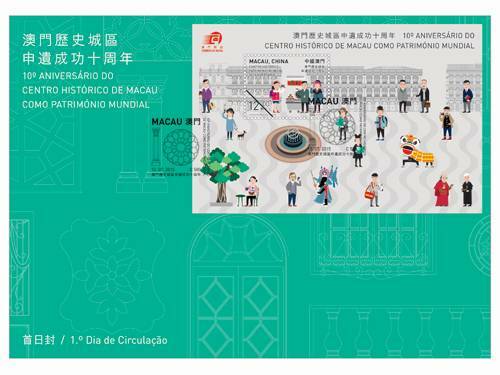 The Historic Centre of Macao was inscribed on the UNESCO’s prestigious “World Heritage List” on 15th July 2005; it was the 31st world heritage site of China inscribed on the list. 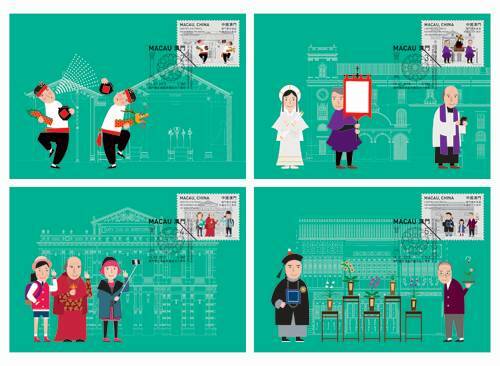 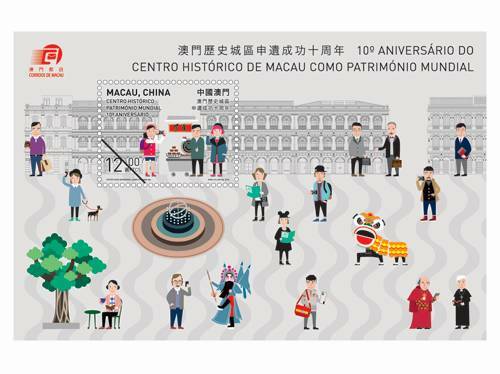 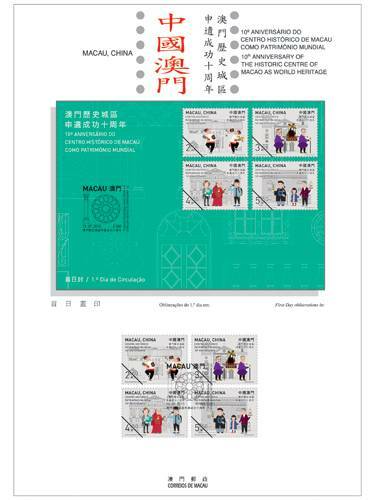 To celebrate its 10th anniversary of the successful enlistment, Macao Post will issue the stamp theme “10th Anniversary of the Historic Centre of Macao as World Heritage” on 15th July, 2015. 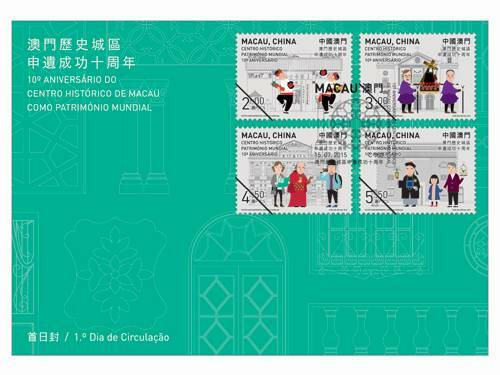 This issue includes a set of four stamps and one souvenir sheet, the sites of Sam Kai Vui Kun (Kuan Tai Temple), Cathedral, Holy House of Mercy, Lou Kau Mansion and Senado Square in the “Historic Centre of Macao” are selected as the stamp images. 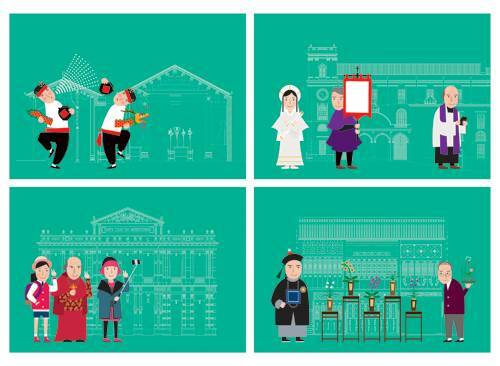 The themes include Chinese style houses and Western architecture, Chinese temples and Western churches that co reside, charitable organizations and business buildings that stand side by side. 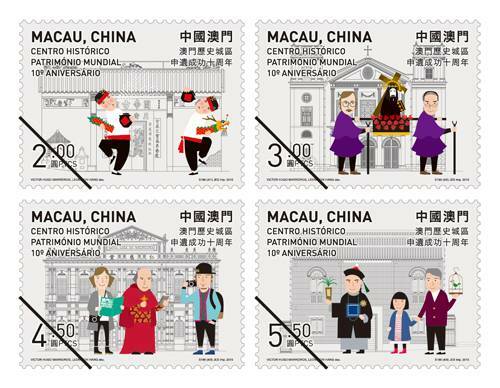 Vivid and energetic Chinese and Portuguese characters, in addition to various folk and festive elements are all depicted in the representations. 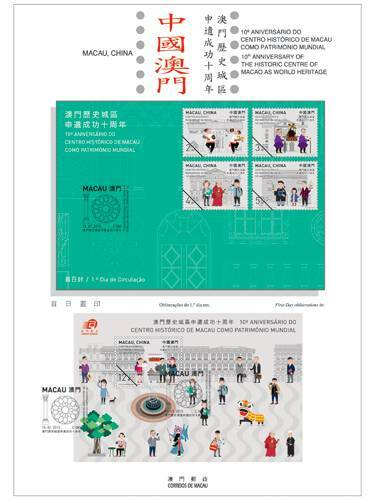 The fusion of Sino-Western culture is demonstrated, alongside the harmonious landscape, in Macao’s all-embracing community, showcasing its variety of different religions, cultures and customs. 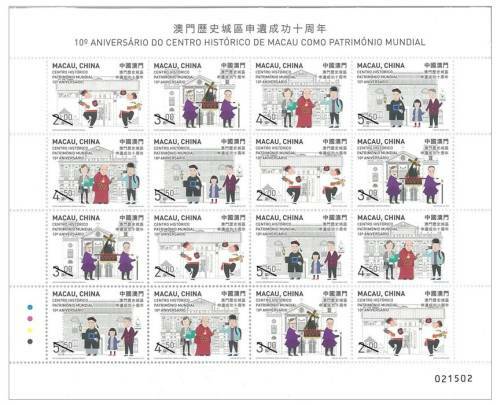 The stamp designers of this issue are Mr. Victor Hugo Marreiros and Mr. Leong Chi Hang, and the text of the information brochure is written by the Cultural Affairs Bureau of the Macao Special Administrative Region Government. 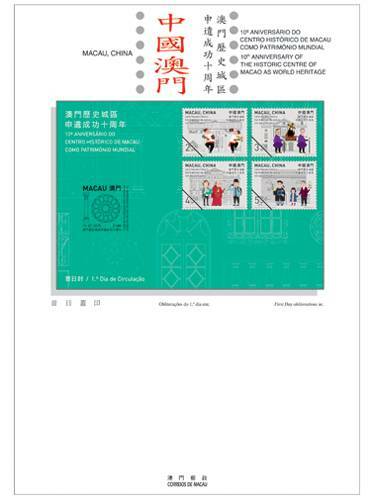 This is the tenth issue in 2015.